1) First, you need to go to the App store on your iPhone/iPad/iPod and download the free app, Amerigo. If you pay $1.99 for the paid version of Amerigo, then there are no limits on how many films you can download and no ads. Install the app on your idevice and then go to step 2. 2) Once you open up the app, you will see this screen. 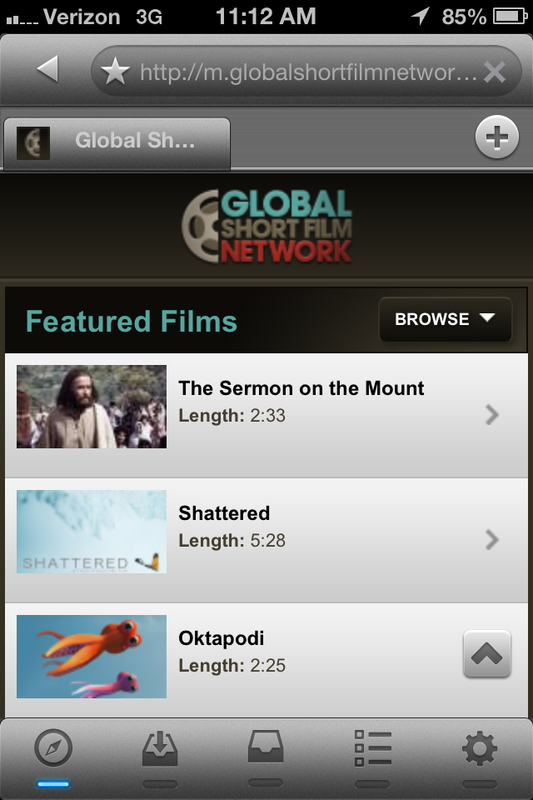 2) Click on the browse bar at the top and type in "www.globalshortfilmnetwork.com"
3) Click on the link to the globalshortfilmnetwork.com website. 4) The mobile version of the website will load on an iPhone or iPod. The full version will load on an iPad. 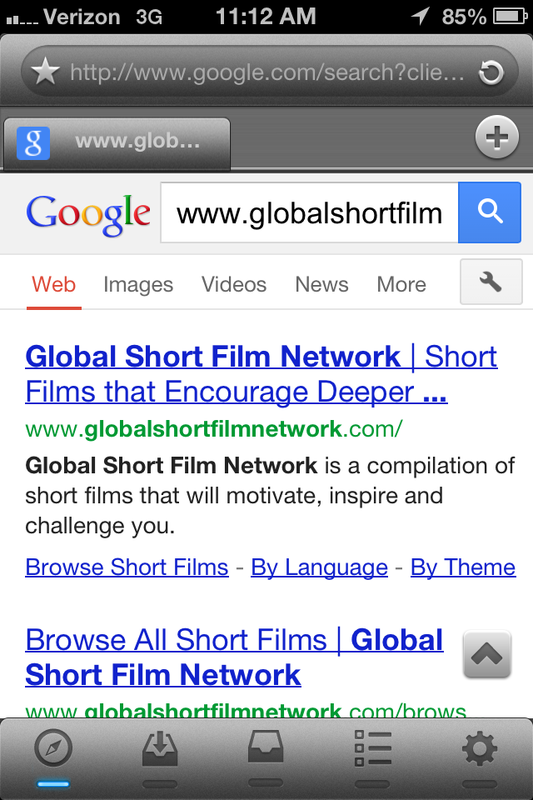 5) Find and click on the film you wish to have on your iDevice. 6) Click on the play button. An icon saying, "Video link found" will pop up. Click the left download icon. 7) Rename the film and then click ok.
8) If you have the free version, an ad will come up. Click play so your download will start. If you have the paid version skip to step 10. 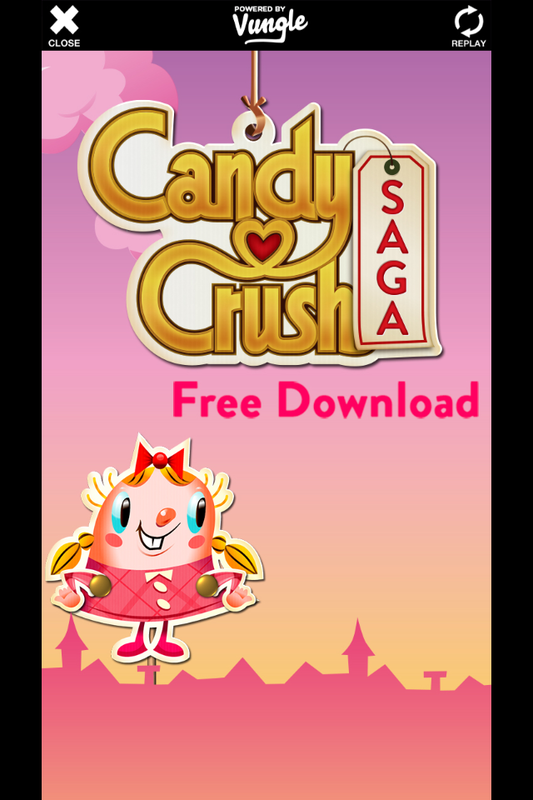 8) Once the ad is done, click the "x" to close the advertisement. 9) Click on the second icon at the bottom of the app to see the progress of your download. 10) Click on the third icon that is highlighted in blue below once the download is complete to see your now downloaded film. 11) Click on your film to play. Click here for instructions on downloading the PDF questions to Amerigo for offline viewing.